B-Stock is headed to Nashville, TN from October 22-24 for the Consumer Returns Conference 2018. 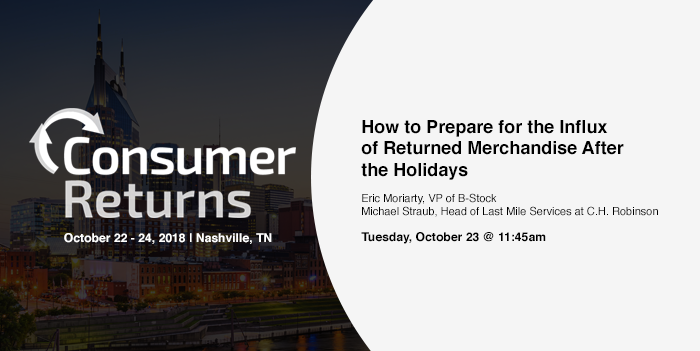 While at the conference, B-Stock will be hosting a luncheon for attendees that includes a discussion on how retailers and manufacturers can better prepare for the influx of returned merchandise after the holidays. B-Stock’s Vice President, Eric Moriarty will take a specific look at reverse logistics and liquidation best practices applied by B-Stock’s largest clients, across industries and goals (recovery vs. velocity vs. brand control). 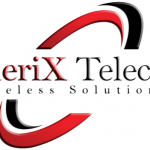 Eric will be joined by Michael Straub, Head of Last Mile Services, at C.H. Robinson who will discuss effective ways retailers can implement more robust reverse logistics and reduce touch points for returns. Attendance is limited. To request an invitation, please email Eric Moriarty. Not attending the conference but want some best practices on how to offset loss for holiday returns? Watch our webinar: Tackling Holiday Returns. B-Stock operates the world’s largest network of B2B marketplaces for returned, overstock, and liquidation merchandise. For a look at our client marketplaces, please visit our marketplace page or contact us for a demo.